So I need some activities on Simple Machines. And here’s the kicker- the activities need to be appropriate for preschoolers. I know, I know. Couldn’t I ask you for something easier – like a unicorn that blows rainbow bubbles or a cheesecake that doesn’t have any calories? No. It has to be Simple Machines for preschoolers. I haven’t even thought about simple machines in…well, um…I can’t even remember the last time I thought about simple machines. 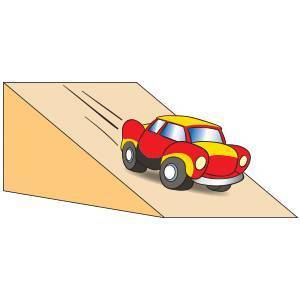 An Inclined Plane: A flat slanted surface that works like a ramp. A Wedge: A wedge is used to force things apart. An ax is a wedge. A Screw: A spiral wrapped around a center post. When you turn it, it can lift objects. The cap on a bottle of water is a screw. A Lever: A bar that pivots or turns on a fixed point. A seesaw, a bottle opener, and a crowbar are levers. A Wheel and Axle: A wheel with a rod attached to it. A wagon and a rolling pin are both examples of a wheel and axle. I would love to see your ideas! If I choose to purchase your idea, you will receive a $20 gift certificate for our products and your idea might be featured in The Mailbox Magazine Preschool. If you come up with a calorie-free cheesecake recipe, I’ll take that too! I loved my unit on simple machines. There are two really great ideas that I have used. The ultimate goal should teach students that simple machines make our day to day lives easier and funner. Have students go around the room/school to identify different simple machines in use. Prompts could be the ramp that allows students in wheel chairs into the room, the teeter-totter on the playground, the bike they rode to school, toy cars in a toy bin, etc. Students can then discuss why these simple machines are so important. It is important to reinforce the fact that simple machines are important for play just as they are important for work. The second idea is to teach that simple machines come in shapes and sizes. Have a variety of screws available. There are huge 15 inch screws all the way down to screws for one’s glasses, but each has a purpose and is important. There are different sizes of wheels and axles, all the way from matchbox cars and bikes to rolling pins and fire engines. And so on and so forth. I love all of Jeramiah’s ideas! That is a hard one — and I will have to think on it for a bit — but one idea you could maybe use for a wedge would be a cork (a bigger one) with a little slit in it – ask students to pretend that it is a log and then use a wedge to get the sides of the cork apart. And have them brainstorm other ways a wedge could help us in our everyday lives — simple machines are something that we totally take for granted – we are just so use to them being there! An elevator — pulley — could turn a block station into pulling a block up — not making sense there — but does Barbies Malibu dream house have an elevator? Or add an elevator to an existing doll house so a doll in a wheel chair could get to the upstairs? will keep thinking. The egg beaters have to be rather lightweight ones for pre-k students to use. Once they get the hang of using them, they love it. We use them for mixing ingredients in simple recipes. We use them in tubs of soap and water to make bubbles and also to watch how the water moves when the beaters move. At first most students try to make the beaters move as quickly as possible, but they eventually slow down and stare at the simple machine in their hands — trying to see just how it works as they turn the handle. Simple machines are an important topic for the kids. they create a foundation for all the tech.